Exactly two years ago, on December the 28th 2014, the NORMAN ATLANTIC ferry, property of the Italian shipowner VISEMAR and rented by the Greek company ANEK LINES, departed from Greece and directed to Ancona, caught fire in the middle of the night off the Albanian coast, and in short time went drifting off the Adriatic sea, in a storm of six meters waves and force 8 wind, with almost 500 people on board and overrun with cars, trucks and Tir carrying goods from Greece to Italy, especially olive oil, which would then fuel the flames for days. The origins of the fire are still under investigation, via a procedure of recording evidence that, as required by the Public Prosecutor of Bari, will have to verify not only the evolution of the shipping incident, but also, and above all, the possible Crew responsibilities in emergency management on board, and the companies ones for malfunctions, as it seemed clear from the start, that the latter turned the fire – started from the deck 4 of the ship, in a real holocaust for dozens of people, 10 dead and over 19 missing, imprisoning the rest of the survivors on the top and outside deck of the ship, drifting inexorably and internally devoured by flames, and to be recovered only by helicopter and transferred one by one. A difficult rescue operation because of adverse weather and sea conditions, and that, despite having involved over 20 merchant and naval ships of different nationalities and several rescue helicopters, lasted for more than two days – an infinite time for those caught between the grip of toxic smokes, flames, incandescent floors and the icy cold of the water jets – sprayed continuously by emergency ships. The very few who managed to take their seats on lifeboats or reach the floating boat dropped overboard, lived an experience of terror and horror, even worse than those who remained trapped on the burning ferry. No fire alarm was issued, no warning from the crew, and the passengers awoke at night between coulters of smoke and panic scenes. A panic which released – in many – the worst in human race. The first to abandon ship were some of the crew, dropping quickly the only usable lifeboat, with just a third of its precious capacity of persons. During the retrieve of the passengers using the baskets lowered from helicopters, others have literally attacked the rescuers, with bites and punches, just to be saved first, others refused to leave priority to women and children. Some people threw himself into the water to escape the flames, and was quickly swallowed by the waves of the icy December sea. Some bodies of drowned victims were found after days, torn apart by evident shark bites. Nearly twenty people are missing, but the count of those missing is certainly more serious, considering the presence on board of many illegal immigrants. In the tragedy – however – there were also scenes of altruism and heroism, as in the case of the Orthodox priest who generously helped many shipwrecked persons to climb the dangerous rope ladder thrown by the rescue ship to the lifeboat on which they stood, leaving the way to all families before falling into the sea and get lost forever; or the greek doctor, who still works in Italy, which remained on board the ferry up until the end, providing his assistance to fellow sufferers, or like some truck drivers who, at great personal risk, managed to hook the towing tugs cable to the Norman Atlantic. A horror lived in long and intense measure, in extreme psychophysical and weather conditions, which left indelible marks inside all people escaped from death, diagnosed in terms of “post-traumatic stress disorder“, studied for the first time in World War I and Vietnam veterans, and then ascertained as a psychological pathology, typical of disaster survivors, as in the case of the collapse of the twin towers. 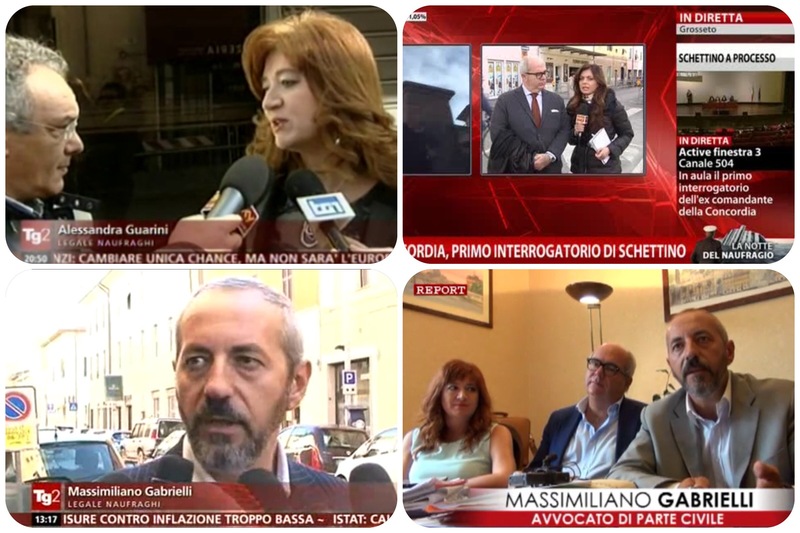 After two years we are still waiting for the closing stage of the preliminary investigation by the magistracy and experts appointed by the Criminal Court of Bari. A report that will hopefully shed some light on the many shadows that since the beginning we have emphasized, with regard to ship-owners, the carrier, crew, those who certified the ship but also – and above all – in the maritime great transportation system, where the law of profit – too often – seems to prevail over the safety rules and accident prevention. Dopo oltre 5 mesi dall’incendio del Norman Atlantic non si è ancora accertata la identità di alcune delle salme recuperate a bordo ed in mare, ed i familiari di alcune vittime hanno incaricato i ns. Avvocati di richiedere alla Procura di Bari di procedere ad un prelievo urgente dei loro campioni biologici, al fine di confrontarli con quelli dei corpi rimasti senza nome; infatti i resti umani totalmente carbonizzati, recuperati a bordo della nave, e quelli irriconoscibili recuperati in mare, a distanza anche di due mesi, sono già stati sottoposti al test DNA ma non era ancora stato effettuato altrettanto con i parenti dei dispersi, onde procedere poi all’esame comparativo ed eventuale identificazione. Il giorno 18 maggio 2015 presso gli uffici della Procura di Bari, verrà quindi finalmente affidato l’incarico ai consulenti medico-legali di effettuare presso il policlinico di Bari il prelievo dei campioni biologici per il TEST DNA ai congiunti di due tra i passeggeri dispersi il 28.12.2014, anche in funzione del prossimo avvio delle operazioni peritali a bordo del relitto, che prenderanno il via dopo la udienza di incidente probatorio del 22.05.2015, e che potrebbero anche portare al rinvenimento di altri corpi rimasti a bordo in zone della nave non ancora esplorate: il numero dei dispersi accertati è di 19 passeggeri, di cui tre clandestini. L’accertamento ha anche una determinante rilevanza riguardo ai tempi per i risarcimenti, poiché la condizione di morte presunta non è stata ancora dichiarata e, ad oggi, i parenti delle vittime non hanno ricevuto alcun tipo di risarcimento od indennizzo dalle compagnie Visemar ed Anek Lines, neppure a titolo di acconto. Un nuevo incendio en otro ferry con bandera italiana ha sucedido hoy 04/28/2015 en las cercanías de Palma de Mallorca, exactamente cuatro meses después de la tragedia del Norman Atlantic del 28/12/2014: el ferry “Sorrento“, de la misma clase y capacidad, el mismo proyecto de construcción y con el mismo incidente de fuego a bordo que se extendió por todo el barco, pero esta vez parece afortunadamente sin pérdida de vidas y lesiones graves. El fuego se produjo poco después de la salida del puerto español de Palma de Mallorca en la mañana de hoy; el ferry de bandera italiana (propiedad del armador italiano Grimaldi Lines) fue fletado por Transmediterránea española. Dada la gravedad de la situación que se desarrolló inmediatamente a bordo, se decidió a abandonar el barco. El Ministerio de Fomento español dijo que el capitán no quería inicialmente evacuar el ferry pero los pasajeros y la tripulación, finalmente abandonaron el barco en llamas en los botes salvavidas. Todos los pasajeros y miembros de la tripulación fueron rescatados por otras embarcaciones en la zona, incluyendo el buque italiano “Puglia” propiedad de la Tirrenia, alquilado a la empresa española Balearia. El incendiose produjo como en el Atlantic Norman, en el garaje, en la cuarta cubierta del ferry y luego se ha extendido a otras áreas de la nave. A bordo iban la tripulación compuesta por 45 personas y 160 pasajeros, incluyendo 14 italianos, además de la carga de automóviles y camiones. La operación de rescate, que involucró a numerosos barcos, tuvo lugar en aguas españolas y fue coordinada por la Guardia Costera, con la ayuda de la Guardia Costera italiana, como un buque de bandera italiana. Los pasajeros pueden confiar en nuestro pull legal para reclamar daños y perjuicios de inmediato, para encontrar la mejor opción y en acciones legales pertinentes (civil y/o penal) y recibir la mejor atención para las acciones de Derecho Marítimo. Haga una lista de sus bienes (joyas, equipos electrónicos, dinero, ropa, etc ..) perdidos en el naufragio. Recuperar documentos de viaje (correo electrónico bono, agencias de viajes, etc ..) y documento con los gastos incurridos por los viajes y para la repatriación. Para aquellos que han sufrido lesiones guardar copias de los certificados médicos y gastos, sin embargo, en el momento de vuelta a casa valorar la posibilidad de acudir a su médico para valorar su estado de ansiedad y el estrés psicológico como trastorno de estrés postraumático o “trastorno de estrés postraumático”. Póngase en contacto con nuestra oficina para que se pueda enviar al instante y de forma totalmente gratuita primera carta para la solicitud daños y perjuicios a la Compañía Cruceros (la llamada carta de acción legal), que rompe cualquier prescripción (no hay 10 días como usted puede haber oído en las noticias de televisión, pero es preferible enviar tan pronto como sea posible la notificación de sus daños con el fin de efectuar los intereses legales). En caso de lesiones se deberá formalizar las pertinentes acciones legales penales y presentar una queja dentro de los tres meses después del hecho (recomendado). No firme ningún formulario de reembolso o el papel de las empresas Líneas Grimaldi o Tansmediterranea. Todo el procedimiento con nuestros abogados se realizará online, sin necesidad de desplazarse físicamente a nuestras oficinas, a través de conexiones de correo electrónico y vídeo web, o si lo prefiere mediante reunión presencial con nuestros abogados en las principales ciudades de España, o en nuestras oficinas en Milán, Roma o Fiumicino o la mayoría de las ciudades italianas. SOBRE NOSOTROS: Somos un grupo de abogados, expertos en desastres marítimos, como el caso del Costa Concordia donde hemos sido referentes entre las partes civiles en el juicio por el naufragio del Costa Concordia, en el que todavía estamos inmersos en la defensa de un grupo de un centenar de pasajeros en el procedimiento penal contra Francesco Schettino, en el juicio que se ejecuta en el fuego Norman Atlantic fuera de las costas griegas, y somos los representantes de las partes civiles, desde las primeras etapas de las investigaciones en todos las principales causas penales italianas relacionadas con intereses comunes a las víctimas de lesiones personales (justicia para las víctimas del amianto), o por la pérdida financiera de números de masa (la justicia para las víctimas de los seguros EFS crack), como en muchos otros pasos procesales para proteger a las víctimas de desastres en masa y daños de serie. QUÉ ESTAMOS HACIENDO: como en el caso de Norton Atlantic, en relación con las reclamaciones civiles de daños y perjuicios, ya hemos iniciado los trámites para solicitar una indemnización por todos los pasajeros del ferry que ya estamos asistiendo – el envío de solicitudes formales de indemnización para cada uno de los supervivientes, mientras que desde el punto de investigación y proceso penal, vamos a presentar de inmediato un primer grupo de quejas ante el Ministerio Público en Grecia, con peticiones para apoderarse de los activos y bienes de las dos empresas involucradas, líneas Grimaldi y Transmediterránea, con garantía la indemnización por daños y perjuicios a nuestros clientes. Somos los únicos abogados, hasta la fecha, que ha propuesto en el caso de Norman Atlantic al Ministerio Público esta importante medida de protección, para futuras compensaciones de las víctimas, en caso de que las compañías de seguros, por cualquier razón, trataran de rechazar pagar. Es, obviamente, fundamental para tener la máxima adhesión posible de pasajeros, para dar por un lado un mayor impulso a nuestra solicitud de embargo de bienes de las empresas, y por otra parte para poder – de esta manera – garantizar la cobertura a través de la incautación de activos y a través de nuestras iniciativas en su favor. QUÉ DEBE HACER PARA SOLICITAR UNA COMPENSACIÓN DE DAÑOS: se deberá acreditar que estaba a bordo de la nave Sorrento por medio de las tarjetas de embarque de Transmediterránea o mediante la prueba de su presencia a bordo de uno de los barcos o helicópteros de rescate. Además, deberá acreditar todos los gastos soportados por el incidente, así como los certificados médicos y/o un certificado del psicólogo-psiquiatra sobre el estado de ansiedad y de estrés postraumático (si existe), preferiblemente de un instituto público médico. El plazo para presentar una denuncia penal es de 90 días desde el momento del suceso, pero sería conveniente iniciar inmediatamente las acciones pertinentes mediante el envío de una carta solicitando daños y las denuncias penales. NOTA QUE EL PLAZO PARA PRESENTAR LA QUEJA ES 90 DÍAS A PARTIR DEL SUCESO. QUÉ OFRECEMOS: el pool legal de “Justicia para el Norman Atlantic” le ofrece asistencia jurídica no sólo para obtener la máxima indemnización, a través de nuestro equipo de abogados expertos. Es necesario tener en cuenta el procedimiento implicará algunos asuntos muy peculiares, las leyes marítimas y de la conexión con el crimen investigaciones: como consecuencia del delito, intencional o no, el seguro y las empresas involucradas pueden negarse a pagar, hasta el final de la fase de investigación, a no ser que se vean forzados a través de quejas y acciones de incautación. La opción caso civil, que algunos bufete de abogados griego sugiere, es en este momento el camino más desconocido, por calendario y los resultados. Contamos con una experiencia específica en desastres marítimos y de masas, como el del Concordia, y por esta razón estamos muy confiados en nuestras posibilidades y en las opciones para obtener mejores resultados de nuestros clientes. CUÁLES SON LOS GASTOS LEGALES: trabajamos en un método transparente y muy, no será necesaria una provisión de fondos y será a coste cero para los clientes. El sistema de pago se realizará por medio de pacto sobre la cantidad que se obtenga por nuestras gestiones. La asistencia cubre por completo todas las fases del procedimiento desde la parte extrajudicial hasta la judicial si fuera necesaria. Póngase en contacto con nosotros por teléfono o correo electrónico, SIN COMPROMISO, consulta gratuita y asistencia letrada inmediata de nuestros abogados, ASISTENCIA JURÍDICA EN INGLÉS, ESPAÑOL Y griego. Abogados albaneses disponibles. ENGLISH: A new fire on another ferry flying the Italian flag happened today 04/28/2015 off Palma de Mallorca, exactly four months after the tragedy of the Norman Atlantic 28/12/2014: the ferry “Sorrento“, the same class of ro-ro pax, the same construction project and the same fire extended throughout the ferry but this time seems fortunately without loss of life and serious injuries. broke out in the morning the fire on board Sorrento Italian flag (property of the italian shipowner Grimaldi Lines), chartered to the Spanish Transmediterranea shortly after departure from the Spanish port of Palma de Mallorca. Given the gravity of the situation which developed immediately on board, it was decided to abandon ship. The Spanish Ministry of Works said the captain did not initially want to evacuate the ferry but passengers and crew eventually left the burning boat in lifeboats. All passengers and crew members were rescued by other ships discovered in the area, including the Italian ship “Puglia” Tirrenia owned, leased to the Spanish company Balearia. The fire broke out juast as happened on the Norman Atlantic, in the garage, on the 4th deck of the ferry and has then expanded to other areas of the ship. Onboard were the crew of 45 people and 160 passengers, including 14 Italians, in addition to the load of cars and trucks. The rescue operation, which involved numerous ships, took place in Spanish waters and was coordinated from Madrid Iberian Coast Guard, with the help from Rome of the Italian Coast Guard, as the vessel flies the Italian flag. Passengers can rely on our legal pool to claim damages immediately, to find the right choice and on legal action to be activated (civil and/or criminal) and receive the best care for the Maritime law actions. Make a list of your goods (jewelry, electronic equipment, money, clothes, etc..) lost in the shipwreck. Retrieve travel documents (voucher email, travel agency etc..) and document any expenses incurred for travel and for repatriation. For those who have suffered injuries keep copies of medical certificates and expenses, however, as you get home go to your doctor for medical report of anxiety and psychological stress as PTSD or “post traumatic stress disorder”. Please contact our Law Agency office to send instantly and totally free of charge first letter for the damages request, to the Cruises Company (so-called letter of legal action), which breaks any prescription (there are not 10 days as you might have heard on Tv news, but it is preferable to send as soon as possible notice of your damages in order to effect the legal interests). In case of injury this shall be subject to criminal legal action and file a complaint within three months after the fact (recommended). The whole procedure with our office will take place online, without the need to physically visit our Offices, via email and web video connections, or if you prefer by making an appointment in major cities of Spain, or at our offices in Milano, Rome or Fiumicino or most of Italian cities. ABOUT US: We are a group of lawyers, experts in Ship & mass disaster, as pool “Giustizia per la Concordia” we have been leaders among the civil parties in the crime trial for the shipwreck of Costa Concordia, in which we are still engaged in defending a group of about one hundred passengers in hearings against Francesco Schettino, in the trial running on the Norman Atlantic fire out of the Greek coasts, and we are, as civil parties and prominent leaders, from the early stages of investigations in all Italian major criminal cases involving common interests to victims of personal injury (justice for asbestos victims) or for financial loss of mass numbers (justice for victims of crack SAI insurance), as in many other procedural steps to protect victims of mass disaster and serial damages. WHAT WE ARE DOING: as in the Norton Atlantic case, on the side of the civil requests of damages, we have already initiated procedures to request compensation for all passengers of the ferry that we are already assisting – sending formal requests for compensation for each of the survivors, while from the criminal investigation & trial point of view, we will immediately file a first group of complaints to the Public Prosecutor in Greece, with requests to seize assets and goods of the two Companies involved, Grimaldi lines and Transmediterranea, to guarantee the compensation for damages to our clients. We are the only lawyers, up to the date, to have proposed in the Norman Atlantic case to the Public Prosecutor this important protection measure, for the victim’s future compensations, in the event that the insurance companies, for whatever reason, would try to refuse to pay. It is obviously fundamental to have the maximum possible adhesion from passengers, to give on one hand greater impetus to our request to seize Companies’ assets, and in the other hand to be able – in this way – to ensure coverage through the seizure of assets and trough our other initiatives in your favor. Check our LATEST NEWS from the top menu. WHAT YOU NEED TO ACT FOR DAMAGE COMPENSATION: as the passengers list might be incomplete, you must be able to demonstrate that you were onboard of the Sorrento ship: even without the coupon ticket of Transmediterranea, it could be sufficient to prove your presence on board of one of the ships or helicopters that have rescued passengers; please keep all the receipts of the expenses you paid and need to pay and the medical certificates, please record the transfer and any further expenses in which you incurred to return home and to get medical opinions and visits; get yourself a certificate of a medical psychologist-psychiatrist about the state of anxiety and post traumatic stress (if present), preferably from a public medic institute. The time limit to file a criminal complaint is of 90 days from the moment of the sinking, but you should immediately start actions, sending a letter requesting damages and proposing our criminal complaints files. NOTE THAT THE TERM TO FILE A COMPLAINT IS 90 DAYS FROM THE FACT. WHAT WE PROVIDE YOU: the pool of “Giustizia per il Norman Atlantic” offers you a global and 360° legal assistance not only to get the maximum compensation, through our team of experienced attorneys with law firms present on virtually the entire territory in Italy, but we also provided help to single survivors and groups of them to get back home forcing Anek Lines to ensure and pay for returns, and refund the costs of first needs, and we are providing more and more passengers informations and assistance to take a decision. We offer a full package of trust, even giving you the chance to get, for the forensic final report, the technical opinion of Prof. Giovanni De Girolamo, who is the leading expert of PTSD in Italy, already our consultant in the Costa Concordia’s case and one of the experts appointed by our Ministries in catastrophic events such as Chernobyl, who will provide and examine the psychological consequences as a result of your participation in a highly traumatic experience such as the burning of the Sorrento or the Norman Atlantic and and being for 72 hours on top board, in harsh physical conditions, in order to relate effectively and targeting to be compensated in the right measure. Please note, You should consider that the compensation issue will involve some very peculiar matters, as maritime laws and connecting it to the crime investigations: as a result of a crime, intentional or not, the insurance and the involved companies might refuse to pay, until the end of the investigation phase, unless we push them through complaints and seizure actions. Not all the lawyers will be able to handle the case properly, and you should consider that Italy has the jurisdiction on the criminal procedure, so you might end up doubling the costs for an italian and uk/greece firm. The civil case option, that some greek law firm is suggesting, is at the moment the most unknown path, for timing and results. 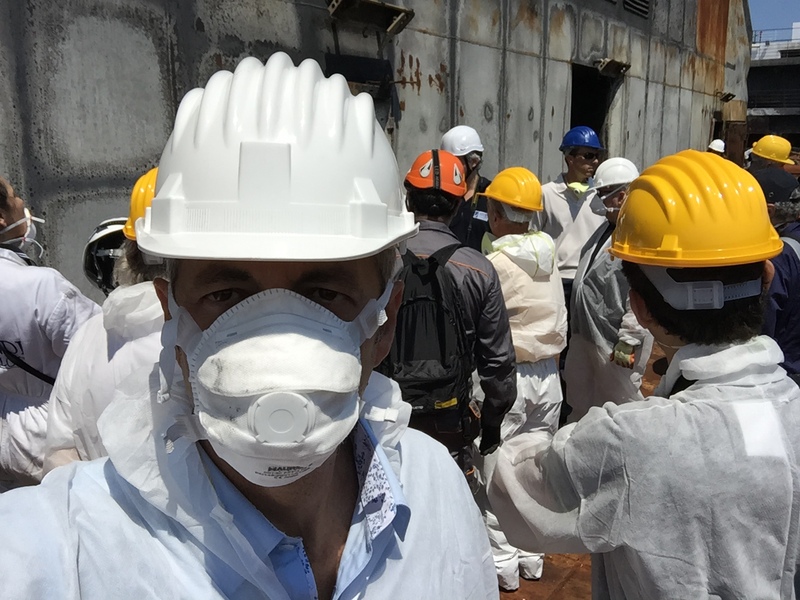 We have a specific experience on maritime & mass disaster, such as Concordia Shipwreck, and for this reason we are very confident on our means and on possibile choices for our client’s best results. WHAT ARE THE LEGAL COSTS: we operate in a very clear and absolute transparent method, there is no need of any anticipated payment and we carry out the assistance without requesting any retainer and with zero costs for the Clients, the only expense that remains on your side is for medical certificates; obviously our lawyers do not work for free; the payment system is regulated as a contingency fees’ pact that predicts to leave to lawyers for their assistance a percentage of the amounts that will be earned as compensation in your favor. 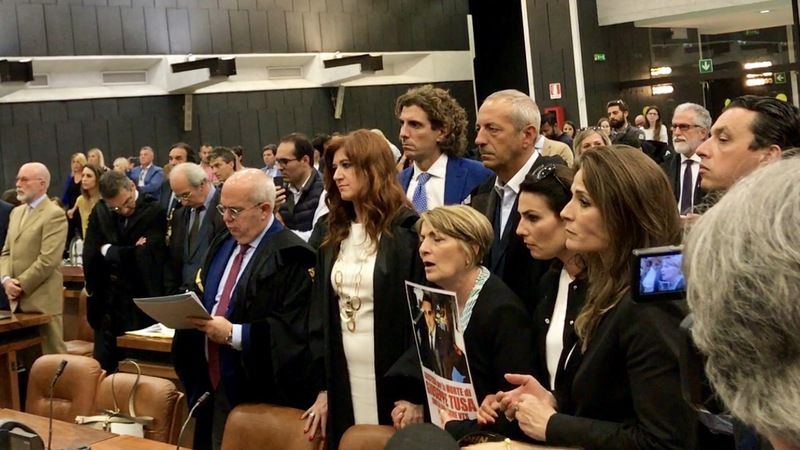 For this case it is the best possible, virtuous and beneficial deal for the victims of the tragedy, since, without having to anticipate any expense or risk to pay thousands of euro in fees for legal actions, our lawyers will have to work to get the possible maximum compensations in your interest in the shortest time as possible. The assistance of our pool covers entirely any cost either for the phase out of court (letters and notices damages, negotiations, meetings, transactions, etc.) and either the actions that we are promoting and we intend to promote on behalf of all of our Clients (complaints, request for seizure, represent you as civil part in the criminal trial etc. etc.). The whole procedure of transmission of documents and updates will be predominantly ONLINE through the blog, without the need to physically visit our Offices, or via email and web videoconferences, or by setting a traditional telephone call or in person at one of our offices, virtually across Italy entirely, or in Greece or in Albany. Contact us by phone or email now, NO COMMITMENT OF EXPENSES, free consultation, immediate responses of our lawyers, FULL ENGLISH SPOKEN – SPANISH, Greek and Albanian lawyers available. A new fire on another ferry flying the Italian flag happened today 04/28/2015 off Palma de Mallorca, exactly four months after the tragedy of the Norman Atlantic 28/12/2014: the ferry “Sorrento“, the same class of ro-ro pax, the same construction project and the same fire extended throughout the ferry but this time seems fortunately without loss of life and serious injuries. broke out in the morning the fire on board Sorrento Italian flag (property of the italian shipowner Grimaldi Lines), chartered to the Spanish Transmediterranea shortly after departure from the Spanish port of Palma de Mallorca. Un nuovo incendio su un altro traghetto battente bandiera italiana è avvenuto oggi 28.04.2015 a largo di Palma di Mallorca, esattamente 4 mesi dopo la tragedia del Norman Atlantic del 28.12.2014: il traghetto “Sorrento“, stessa classe di navi ro-ro Pax, stesso progetto di costruzione e stesso incendio esteso su tutta l’imbarcazione ma questa volta sembra per fortuna senza perdite umane e feriti gravi. E’ divampato in mattinata il fuoco a bordo della motonave Sorrento battente bandiera italiana (di proprietà dell’armatore Grimaldi Lines), noleggiata alla compagnia spagnola Transmediterranea poco dopo la partenza dal porto spagnolo di Palma di Mallorca. Vista la gravità della situazione da subito sviluppatasi a bordo, è stato deciso l’abbandono della nave. Tutti i passeggeri ed i membri dell’equipaggio sono stati tratti in salvo da altre navi accorse in zona, tra cui la nave italiana “Puglia” di proprietà Tirrenia, noleggiata alla compagnia spagnola Balearia. L’incendio sarebbe divampato come sul Norman Atlantic nel locale garage, sul ponte 4 del traghetto e si è poi esteso ad altre aree della nave. A bordo c’erano l’equipaggio composto da 45 persone e 160 passeggeri, tra cui 14 italiani, oltre al carico di auto e camion. L’intervento di soccorso, che ha coinvolto numerose navi, è avvenuto in acque spagnole ed è stato coordinato da Madrid dalla Guardia Costiera iberica, con il concorso da Roma della Guardia Costiera italiana, visto che il vascello batte bandiera italiana. I passeggeri possono affidarsi al ns pool per reclamare da subito il risarcimento danni, orientarsi sulla scelta sulla azione legale da attivare (civile o penale) e ricevere la migliore assistenza per la scelta sul percorso legale. Noi Vi suggeriamo sin da subito cosa fare, con un breve guida non solo su come e quando richiedere il risarcimento, ma come ottenere il massimo risarcimento, ed un piccolo vademecum da seguire, forti della esperienza in prima linea nei disastri marittimi a seguito del naufragio della Costa Concordia nel quale – a capo del pool di avvocati “Giustizia per la Concordia“, abbiamo rappresentato circa cento passeggeri nel processo penale contro il Comandante Schettino e siamo protagonisti delle azioni civili e risarcitorie per molti altri passeggeri che in precedenza si erano affidati ad agenzie per gestione dei sinistri, alle associazioni di categoria o dei consumatori, rimanendo tagliati fuori dal processo penale e dalle altre iniziative processuali in Italia che abbiamo promosso efficacemente da subito. Dopo lunga attesa, i Procuratori di Bari hanno finalmente provveduto a depositare la richiesta di incidente probatorio, al fine di procedere attraverso i periti del tribunale, all’accesso alla nave ed esaminare, in contraddittorio con le altre parti processuali, tutto il materiale informatico e di indagine fin qui svolto. Ai periti sarà richiesto di accertare la natura dei malfunzionamenti del sistema antincendio e di tutti i sistemi in dotazione della motonave Norman Atlantic, l’osservanza della normativa in materia di sicurezza navale, di caricamento e rizzaggio degli automezzi, di effettiva chiusura dei garage durante la navigazione individuazione delle cause di insorgere dell’incendio e sua propagazione, la correttezza delle procedure di emergenza, evacuazione e tempistiche degli allarmi, oltre ai rilievi di natura strettamente tecnica funzionali alla successiva fase processuale. Il GIP di Bari, Dott.ssa Alessandra Piliego, ha fissato udienza al 22 maggio 2015 per formulare i quesiti e conferire formalmente l’incarico al collegio peritale già nominato. Qualcuno dei periti o degli ausiliari sono nomi a noi già noti, per essere stati consulenti del PM o periti nel processo Concordia. Il lungo elenco delle parti offese, riportate nella ordinanza di fissazione di udienza, è solo parziale perché non aggiornato con tutte le ulteriori querele-denunce depositate in tutta Italia da molti altri passeggeri solo da poco, in prossimità della scadenza del termine di tre mesi dal fatto, ed evidentemente non ancora giunte formalmente alla attenzione degli uffici giudiziari baresi. Questo però non deve preoccupare perché, anche in funzione del fatto che solo una parte dei passeggeri pare aver proposto querela, il Giudice delle Indagini Preliminari ha disposto la notifica della ordinanza che fissa l’udienza anche per pubblico proclamo, disponendone la pubblicazione ai fini della conoscibilità da parte di tutti gli interessati, anche sui siti istituzionali e con trasmissione alle agenzie di stampa. 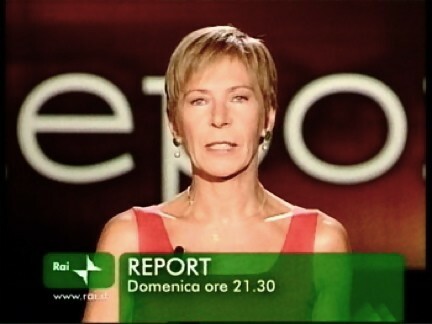 Attendiamo da molto e con impazienza questo momento per dare il via alle operazioni processuali, e che sembravano incredibilmente destinate a rimanere in sospeso ancora a lungo. 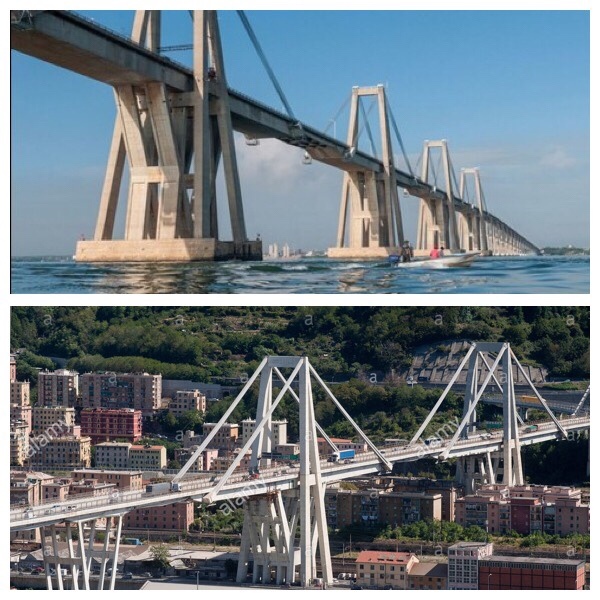 La situazione, dobbiamo dire criticamente, pare essersi sbloccata solo a seguito delle pressioni, anche mediatiche, da ultimo evidentemente esercitate dalle compagnie Costa Crociere ed MSC, le quali lamentavano l’occupazione della banchina croceristica nel porto di Bari, da parte del relitto Norman Atlantic, dal sinistro e poco rassicurante aspetto e con all’interno ancora i TIR carichi di derrate alimentari in avanzato stato di decomposizione: per loro, insomma, un relitto scomodo e che puzza. Sembrano dimenticare, però, che quel relitto custodisce ancora, con ogni probabilità, altri corpi senza vita dei passeggeri che non sono stati rinvenuti o che non erano neppure stati registrati in lista di imbarco, e che da oltre 120 giorni molti parenti dei dispersi attendono di poter recuperare e portare a casa i resti dei loro familiari, o quantomeno sapere se una delle salme già rinvenute a bordo od in mare negli ultimi mesi appartiene al loro congiunto. Lunedì presenteremo una istanza formale alla Procura di Bari affinché proceda senza ulteriori indugio al prelievo dei campioni biologici per accertamento del DNA sui familiari di alcuni dispersi che assistiamo, e che innanzitutto chiedono, anzi legittimamente pretendono, di sapere. Al termine delle operazioni peritali, inoltre, sarà possibile procedere alla eventuale restituzione in favore degli aventi diritto, degli automezzi e dei beni personali non andati distrutti nell’incendio del 28.12.2014. I nostri Avvocati Massimiliano Gabrielli, Cesare Bulgheroni ed Alessandra Guarini saranno in udienza il 22 maggio, innanzitutto per vigilare e tutelare il rispetto degli interessi delle parti offese, ma anche per valere da subito i diritti dei passeggeri, che ancora attendono ancora da parte delle compagnie una vera offerta. Ad oggi, infatti, Anek Lines e Visemar non hanno effettuato alcun tipo di offerta concreta, sottraendosi ad un comportamento diligente ma, soprattutto doveroso, mettendo a disposizione una somma risarcitoria iniziale ed adeguata nei confronti dei familiari delle vittime, alcune delle quali, come nel caso degli autisti degli TIR, hanno lasciato mogli e bambini senza alcuna forma di sostentamento. 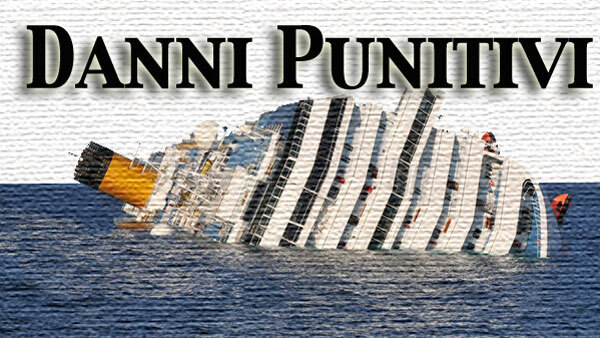 Our pool of lawyers, who followed also the Concordia trial, gets the highest liquidation ever for damages to passengers – without physical injuries – of the ship sunken out of the island of Giglio: the Court of Grosseto sentenced to 16 years in prison Captain Francesco Schettino and condemns Costa Cruises company to pay compensation to passengers who were constituted as civil parties in the criminal trial. 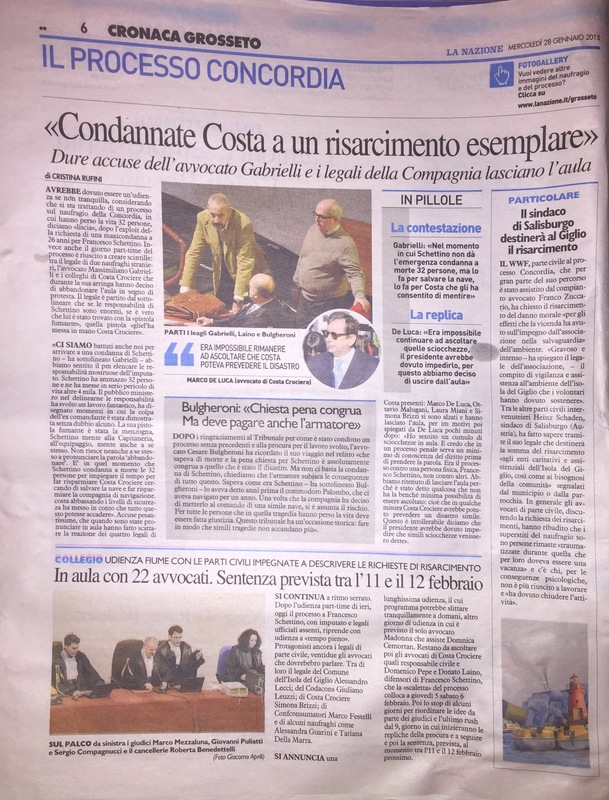 The Court of Grosseto, in ONLY TWO YEARS OF TRIAL, sentenced to 16 years in prison Captain Francesco Schettino and condemns Costa Cruises company to pay compensation to passengers who were constituted as civil parties in the criminal trial. Liquidation basis of € 30.000,00, but ONLY FOR OUR CLIENTS, compensation rise up to euro 50.000,00 each, almost FIVE TIMES THE ORIGINAL OFFER ACCEPTED BY MOST PASSENGERS, demonstrating the quality of our efforts and the convenience of action for damages in the criminal trial. Other law firms speak of possibilities, we DO the facts and we have made a difference. NO ONE of the Greek or the international law firms WAS IN CRIMINAL CONCORDIA TRIAL and has obtained compensation like our clients in this case. No one. They all closed their client’s positions with minor negotiations. And this is only a down payment as provisional, subject to the final settlement in a civil trial where we can demonstrate the presence of additional damage and get to the final condemn to pay, as requested, of 150/300 thousand euro per passenger, according to the different proportion of biological damage demonstrated by each one, according to medical advices from our experts. Granted the right to compensation for damage suffered as PTSD (post traumatic stress disorder) to our clients, even in the absence of specific pharmacological therapies and medical certifications. Needless to say, in this regard, that expectations of compensation for Norman Atlantic’s passengers are objectively and greatly higher than those of the Costa Concordia, as their experience was, except in rare cases, dramatically more intense, both from the point of view of psychological and physical stress, both for the duration of the catastrophic experience, lasting up to 72 hours compared to a few hours in which occurred the sinking of the Costa Concordia. For passengers of #NormanAtlantic, therefore, it is urgent to participate immediately to the ongoing criminal proceedings in Bari, and learn from the experience of others: do not make the same mistake as many passengers of Concordia, who readily accepted an initial proposal (11.00,00 euro) or being cut off the criminal trial, as some decided to follow the consumer associations or international law firms who have deluded about compensation millionaires through the class action or civil cases that still await an end and never reach these levels. we deployed a request for punitive damages and we will once again in the NA case. 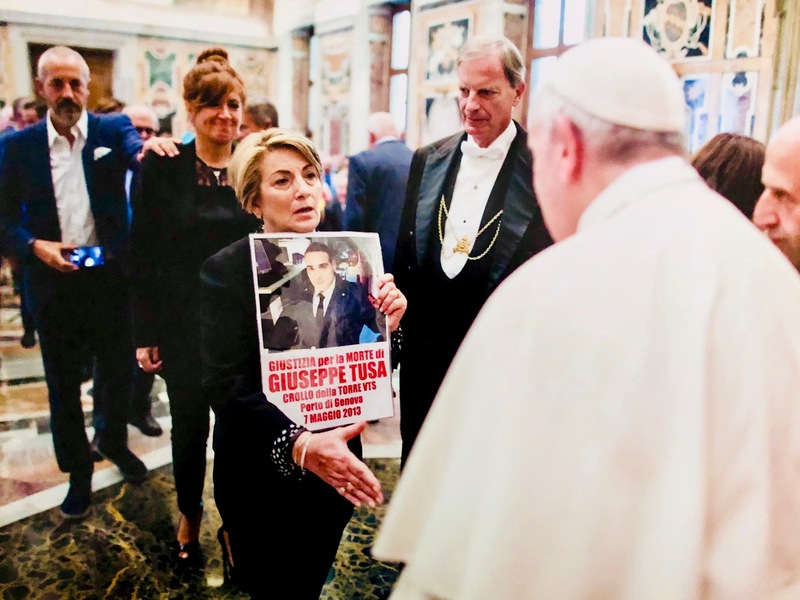 We have shown that the offers made by companies, according to their criteria (dealing on consumer associations) are unacceptable, and they were sentenced to up to five times the final offer (take or leave it) that Costa Crociere did. We have demonstrated to the insurance companies that the criminal trial is not an infinite ordeal and in only two years we got them to pay up to 50 thousand euro as a provisional down payment, 5 times more. This amount (50 thousand euro) will then, for our pool that has achieved provisional results, raise the initial parameter for Compensation for passengers of Norman Atlantic.